The story of forbidden love between Sangkuriang and Nyi Dayang Sumbi leave Tangkuban Perahu existence. Beautiful large lake which is equipped with a magnificent yacht, failed to fully resolved in one night too late by the wiles Sangkuriang Sumbi Dayang who does not want the success of the lover and his biological son to marry her. With anger was mounting, kicking Sangkuriang magnificent yacht up upside down and harden into a mountain. Mountain does look like a boat capsized of London that is now remembered as Tangkuban Perahu. Tangkuban Perahu towering approximately 25 km north of the city of Bandung. 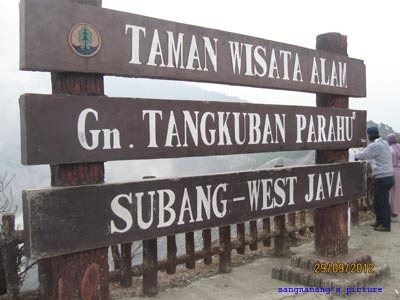 Tangkuban Parahu has a height of about 2084 meters. The form of this mountain peak is the center stratovulcano moving eruption. Rock types are mostly excreted in the eruption of lava and sulfur. The mineral is issued sulfur sulfur and minerals are released when the mountain is not active sulfur vapor. The average daily temperature is 17 ° C during the day and 2 ° C at night. 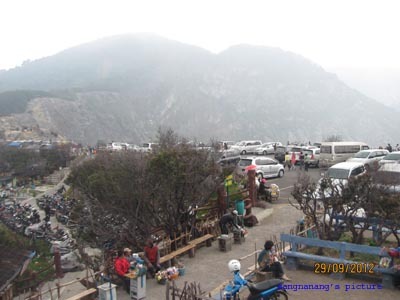 This condition makes the nature Tangkuban Perahu is very cool and a dream of the average visitor who came from urban areas is already very crowded and hot. Tracing the town Spa in West Bandung regency, Tangkuban Perahu can be achieved through the Lembang-Subang far as about 10 miles or 30 minute drive vehicles. The journey will be very soothing for the eyes and hearts of the landscaped fields verdant vegetables on the roadside. After Cikole area, visitors will be treated to panoramic views of pine trees that lined neatly on either side of the road to form a posse very lush green forest. This is a luxury that is very difficult to find in urban areas. After traveling 7 miles from Lembang be found branching path, right into the hot water bath Ciater in Subang, and the left side towards the Nature Park Tangkuban Perahu. The left side of the road began to climb over and twisting with sharper angles. However, the road winding and uphill though not heavy because it paved a smooth road conditions nan smooth. 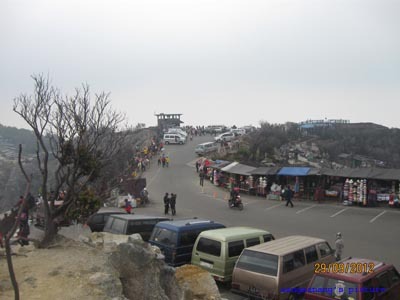 After a while, visitors will find the entrance gate Tangkuban Perahu. This is where visitors must buy a ticket for Rp. 15,000.00 per person. In the vicinity of this gate seems some herd of wild monkeys greet every guest that comes with its hospitality to simply ask for a banana or boiled peanuts from the visitors. Climb up and down the street, visitors will enjoy the sensation of smell belarang that the longer will be stung his nose. Some time earlier, Tangkuban Perahu through a phase of increased activity of magma at the base of the crater that had the status of alert and was forced to close a few days for tourist visits. Now the status of this mountain is back on normal, so the wisatawanpun can visit it as usual. Not how long climb sharply uphill road, a row of parking on the side of the crater Queen will soon spread their view of the vast crater rim nan in a fenced thousands of visitors along the side edges. This enchanting beauty Tangkuban Perahu. Tourists visiting these objects come from various areas around Bandung, Jakarta, Indramayu, Cirebon, to other provinces such as Central Java, East Java, and even some from Kalimantan and Maluku. Not to forget the foreign tourists participated admire this beautiful gift of nature. At the time I was there, a lot of women from China, Japan, India and some European and Australian tourists. Enchantment Tangkuban boat is already global. 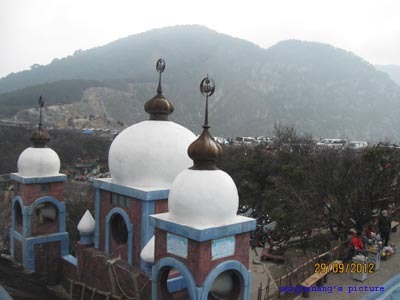 As a tourist area for entertaining guests is consistent with the “Sapta charm”, Nature Park Tangkuban Perahu has been equipped with supporting facilities, ranging from extensive parking for cars and motorcycles, substation view, central information, toilet facilities, souvenir area and by-the typical, as well as a mosque for worship Muslims. Various souvenirs Tangkuban Perahu that can be carried by travelers among the various shirts, slayer, scarves, jackets, sweaters, scarves decorated with paintings of typical Tangkuban Perahu. You can also buy a variety of handicrafts rocks form beads, necklaces, rings, bracelets, and even sold also various traditional weapons, such as knives and cleaver. 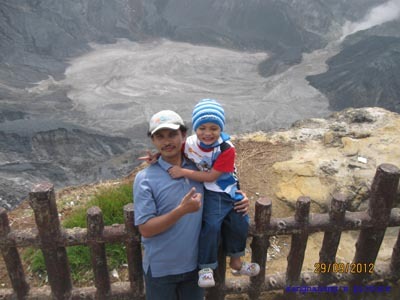 As a famous tourist destination, Tangkuban Perahu is very charming. The charm is slightly tarnished by the lack of access to public transport is cheap and adequate. For you, the backpaker who want to get there using public transportation, then you should be ready with the fuzziness of information and rates are not cheap. 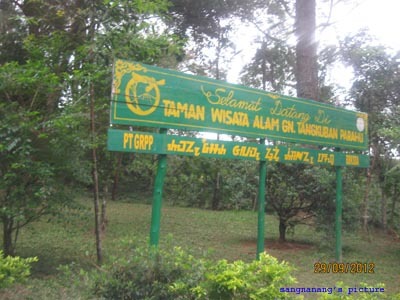 From Lembang, seems to be no specific route that serves the Lembang – Tangkuban Perahu. From Lembang, we can take the black plate omprengan majors Lembang – Subang are ready to take the passengers to the tourist attractions. However, the standard fare is not clear we should require very careful and brave bid price offered. For a single trip, each passenger is pulled 50-60 thousand dollars to lure complete with entrance tickets. In addition omprengan ride, you can ride public transportation yellow Cikole majors with tariff system is not much different. It is unfortunate indeed, a tourist destination famous as Tangkuban Perahu was not able to provide comfort for immigrants individuals or small groups. Is it to come to Tangkuban Boats must use a personal vehicle or in a large group? It seems that local authorities and tour manager had to really think about solving the provision of public transport to reach the tourist areas with affordable rates. 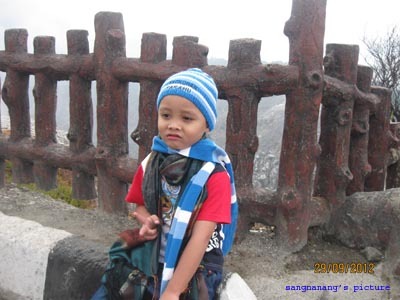 All people, rich and poor alike have the right to enjoy the charm of Tangkuban Perahu was awarded the Lord Almighty. Beyond the knowledge society in general, it’s Tangkuban Perahu was no longer in the city of Bandung, Bandung regency, and West Bandung regency. Tangkuban Perahu region, administratively, it turns out most of it was in the district of Subang. But what it might say, mistakes general understanding is difficult to be straightened. The same thing also happened to the Borobudur temple in Magelang are considered to be in Jogjakarta, and the Dieng area that partly located in the district of Banjarnegara but more people believe in Wonosobo district.